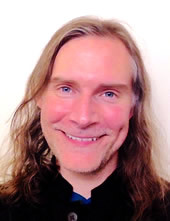 Jeff Vander Clute is a veteran entrepreneur, consciousness coach, and organizational consultant committed to co-creating a human society filled with businesses and institutions that are AWAKE. In partnership with a vast network of collaborators – and with Life itself – Jeff has developed unique wisdom systems and processes that enable individuals and teams to operate with radical clarity and insight, develop extraordinary abilities, and get results. Jeff has over 20 years of entrepreneurial and leadership experience in the technology, social enterprise, and Consciousness domains. He is working with a growing number of next-level enterprises that are building awakened partnerships between Earth and Humanity. Jeff’s professional and volunteer affiliations include Sourcing The Way, UNITY EARTH, the Evolutionary Leaders, Alliance for the Earth, Planet Protector Academy, the Global Compassion Council of Charter for Compassion International, and The Source of Synergy Foundation.